Lucretia is Zand Dermatology's office manager, certified biller + coder, and patient financial advocate. She is an expert at dealing with Medicare and can help address any concerns about your bill or reimbursements. Before joining our team, Lucretia managed a busy dermatology practice for almost 30 years. 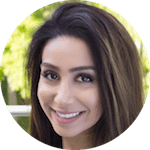 She is highly knowledgeable and skilled at answering clinical questions about biopsy results, surgical procedures, cosmetic treatments, wound care, and what to expect. She is a graduate of UNLV, where she studied both nursing and business. Outside of the office, Lucretia enjoys spending time with her daughters and 7 grandchildren, and sailing the bay with her husband Jim and their loving golden doodle Luc. 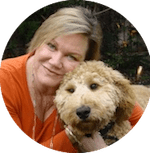 Lucia Dezotell is a licensed medical aesthetician and skin care specialist, who collaborates with medical professionals to address patients’ skin concerns. With experience in a wide range of treatments including dermaplaning, extractions, microdermabrasion and chemical peels, Lucia specializes in treatments for rosacea, melasma and acne. 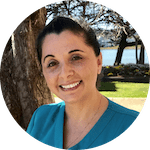 Lucia is passionate about skin health, and knows how to work with different skin concerns, prevent skin complications and restore skin health. Outside of work, Lucia is a passionate mother to her daughter Zoe. You will most likely find Lucia at the beach with her family and friends, enjoying the outdoors. Sarah loves taking care of patients at Zand Dermatology and aspires to become a physician herself. She graduated from UC Berkeley in 2013 at the top of her class, earned a degree in Environmental Public Health, and researched pesticide’s impact on childhood development. Her interest in medicine was sparked as a camp counsellor for diabetic children, and solidified after interning at UCSF Pediatric Endocrinology. Sarah served as a Clinical Research Coordinator at UCSF’s Breast Cancer Center for two years, and she brings this stellar compassionate care to our team. She enjoys assisting Dr. Zand and continuously learning about dermatology. 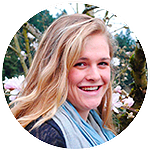 During her free time Sarah loves to be outdoors in the Bay Area and abroad: kayaking in Point Reyes, hiking in the Austrian Alps, and scaling the snowy peaks of Peru. After falling in love with Natalie as our summer intern, we were thrilled to have her join our team as a medical assistant. Natalie is passionate about providing excellent patient care, relating to patients' stories, and making a direct impact on people’s lives. She is pre-med, pursuing a BS in Biochemistry and a minor in Sociology from Sonoma State University, and strives to become a physician. A natural leader, Natalie was the Senator of Science and Technology, VP of the Pre-Health Professions Club, and works with the Career Technical Foundation of Sonoma County to increase opportunities for young girls in STEM fields. Natalie was called to medicine to help people lead healthier and happier lives, regardless of their current circumstances. Her interest was solidified after interning at Stanford Hospital and volunteering in the ER. During her free time, Natalie enjoys traveling, weight lifting, and spending time with friends and family. Meet Bella, our therapy dog and certified emotional support animal! Bella is a special member of our team and our patients love her for the emotional support she provides. Therapy pets are embraced at top hospitals like MGH and UCSF, as scientific research shows they help lower anxiety, reduce blood pressure, and increase the happy hormone oxytocin. 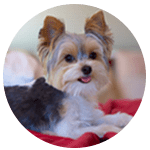 Bella is a hypoallergenic, non-shedding, tricolored Yorkie. She adores being held and cuddled, especially by patients who feel nervous before in-office procedures. This unique heartfelt connection lifts our patients’ spirits and enhances the healing process. Let us know if Dr. Bella can help enrich your experience at Zand Dermatology!